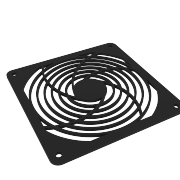 120mm fan guards keep cabinet cooling fans from being damaged by foreign objects or fingers. This black plastic fan guard from GardTec is 120mm in length and 2.5mm thick. Plastic fan guards prevent cabinet cooling fans from being damaged to ensure long lasting appliance and electronic cooling. 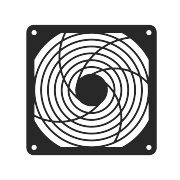 Our plastic fan guards are lightweight and damage resistant. 120mm fan guards at GardTec are built to reduce the amount of fan noise and increase the amount of airflow through the fan guard. Our high quality fan guards are available individually or in bulk. 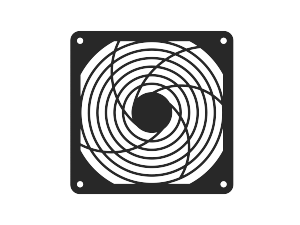 GardTec sells the best cabinet cooling fan kits and fan accessories on the market.